Tap into multimedia fun with Philips' broad-format, high-style, and ultra-slim DVP642 DVD player. The DVP642 is not only a high-end progressive-scan DVD player equipped to offer scintillating images on high-definition and HD-ready TVs, it's a tech-savvy player that spins your MP3- and JPEG-encoded recordable CDs (as well as Kodak's and Fuji's variants of the same) and CDs loaded with MPEG-4 and DivX video (3.11, 4.x, and 5.x files), perfect for viewing Internet-sourced content in your home theater. Want more? The player also converts Region 1/All Region PAL-formatted discs (the video standard in Europe) for viewing on standard NTSC televisions (and vice-versa, if only for video CDs). The DVP642's progressive-scan functionality allows compatible TVs to display the even and odd numbered lines of an image in a single pass. This minimizes screen flicker, which is easier on your eyes. Whether your living room is currently home to an HDTV or you're merely thinking of "someday," the DVP642 stands ready to deliver the full potential of your DVDs. Progressive scanning, referred to as 480p for the number of horizontal lines that compose the video image, creates a picture using twice the scan lines of a conventional DVD picture, giving you higher resolution and sharper images while eliminating nearly all motion artifacts. Playback options include five-disc resume, which lets you pick up where you left off on your five most recently viewed DVDs (not applicable for MP3 or JPEG CDs), disc-lock parental controls, and picture zoom for magnification of select images. The player will play JPEG images one by one automatically, letting you zoom in, rotate, or flip the picture vertically or horizontally. For MP3 playback, the player offers track time display, album and track selection, and repeat (disc/album/track). The DivX media format is MPEG-4 based video compression that lets you save large files like films, movie trailers, and music videos on recordable media. Philips' 4x video upsampling offers smoother images even when viewing interlaced (nonprogressive) signals through the player's component-video, S-video, or standard composite-video outputs. SmartPicture provides optimum picture settings for color, brightness, saturation, contrast, sharpness, etc., to enhance your overall viewing experience at all times. A set of left/right analog-audio outputs channel audio to Dolby Pro Logic receivers and stereo televisions. Dolby Digital 5.1-channel surround-sound signals can be routed through the player's digital-audio outputs (one each of RCA coaxial and Toslink optical) for direct connection to a full-featured audio/video receiver. I recently purchased the Philips DVP642 DVD player and I am quite pleased with it. I have a lot of files in .avi format, and it takes me several hours to encode them in DVD, SVCD, or VCD format to play on a DVD player. Now, with this player, I can just put my .avi files onto CD-Rs, pop them in the DVD player let the machine do the rest. The quality that AVI, DIVX, and MPEG-4 are displayed in is amazing. The files play much better than they do on my home computer. This is thanks to a "smart" technology that the player uses to enhance compressed video. Many scenes will appear in almost DVD quality. Many users have complained about the sloppy interface. I tend to disagree. Although other DVD players offer far better interfaces, this one holds up quite well. It will not distract from the overall experience you will have with this product. The remote control feels more like a television remote, though. This unit is not perfect. It doesn't play Nero Digital MPEG-4s. There isn't any sound on non-VOB structured MPEG-2 files, nor is there any sound when miniDVDs are played (but who uses those anyways). However, a simple file conversion program will solve most of these problems allowing you to keep up to 2 hours of very good quality video on one CD. No DVD players are perfect and the bottom line is for $70 this unit is a steal. If you have a lot of video files laying around on your cpu and a cd burner, this player is a must buy. The Philips DVP642 is truly superb at its price point. DVD playback is just as good as my older Onkyo DV-SP501 (at more than twice the price) and it can play DivX and XviD files (at almost DVD quality) as well as MP3's JPEG's and VCD's! Unlike the experience of the reviewer from Erie, PA, my player does resume playing the DVD from the scene where you've pressed the stop button (of course if you press stop TWICE it will take you to the beginning of the DVD). The one weakness I can find is with the remote. It is a bit skimpy, for example, no dedicated open/close tray button, instead one must press the stop key for about 5 seconds which will either open or close the tray. Buttons are small and placed close together. If anyone knows of a universal remote that works with this unit please include it in your review. Overall this player has far exceeded my expectations. Well done Philips! I am an avid anime fan - it does it's job, and well. It processes the divx codecs better than my amd64 and intel systems. I have thrown ALOT at it sofar and takes it all without any hiccups. I have FMAlchemist (26 eps.) on 1 dvd-r and it plays them all. One reservation - it has a slightly clunky interface, but is still very functional. I am simply amazed with the quality of this DVD/Divx player. I was skeptical at first, but figured at the price, why not take a chance, at worst I would just have another DVD player. WOW! Once I plugged it into my system it took no time at all and I was up and running all file formats advertised, with no problems whatsoever! I tested it's limits when I burned multiple .avi files onto a DVD-R...it played them flawlessly! There is very little this player can't do and it does it at the fraction of the cost of other "Media" players. Well worth the trip to the store and the price. Philips 17PF8946 17-inch HDTV-ready flat-panel LCD TV is more than just great looks. The perfect size for a small space, the 3.1-inch-thick display provides an excellent audio/visual experience with features like Crystal Clear III, Active Control, Virtual Dolby Surround, and unique flat speakers. It even has a built-in FM radio tuner so you can listen to all your favorite radio channels, and up to 40 station presets make sure you tune in fast. The high-definition (HD tuner not included), 1,280 x 768 WXGA LCD panel uses the latest panel technology, such as Philips' proprietary Crystal Clear package of innovations featuring a 3D digital comb filter (eliminates dot crawl and color bleeding, enhancing fine detail, cleaning up image outlines, and removing most extraneous colors), Dynamic Contrast for deep blacks and pure whites, and green and blue color enhancement. The high 400:1 contrast ratio gives you better subtle color details and the ability to see the picture in bright light conditions, and the 25-millisecond response time means it's capable of handling fast-moving action without image blur or lag. Active Control delivers the best picture setting, any time, from any source. The incoming signal is automatically analyzed and key picture settings, like sharpness, color, and contrast, are adjusted. 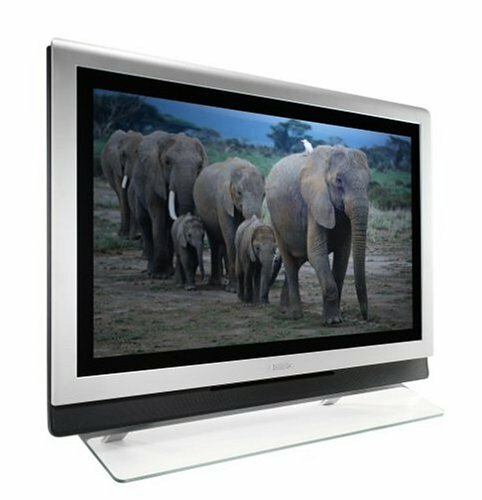 The 16:9 widescreen aspect ratio is the best for viewing HDTV and DVDs so you can have a more realistic cinema experience, but the TV has zoom modes for viewing 4:3 analog broadcast TV and pan-and-scan-formatted video. Built-in flat speakers (4 watts per channel) sit on either side of the active-matrix TFT LCD, giving you full stereo sound without needing to connect to an external speaker system. Virtual Dolby Surround sound support simulates cinema surround sound effects without the need for rear speakers. Philips' Smart Listening auto volume leveling eliminates drastic volume spikes while changing channels or when channels go to a commercial break. Other features include fantastic 176-degree horizontal and vertical viewing angles, 100 preset channels, Autostore for easy tuning, Auto Picture (five modes give you picture settings for different types of programming), Auto Sound (four modes to tailor the TV sound to enhance what you're watching), multilanguage onscreen display, sleep timer, integrated NTSC tuner and RF jack for terrestrial reception, ergonomic remote control, and an antireflective screen. Want to do more than just watch TV? 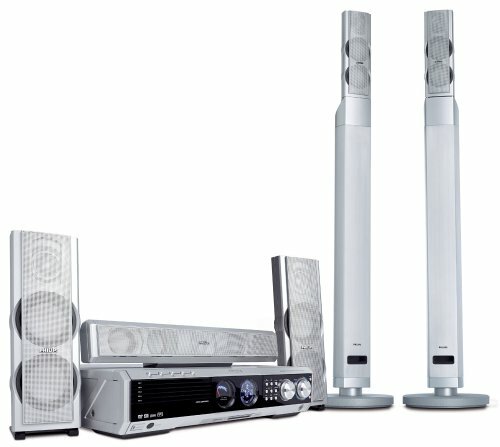 The 17PF8946 has an FM antenna connector for getting better reception, a rear composite input, and a component input that helps minimize digital and line-scan artifacts during DVD playback. And, because the TV is progressive scan, it can take advantage of the more filmlike images produced by progressive-scan DVD players. It has a VGA input too, which receives the signal from your PC so you can use it as a TV and a PC monitor. A set of side jacks has a composite A/V input with S-video, a mini headphone jack, and an audio in for using the TV's speakers with your PC. Nice sounding, extremely easy to set up! I've had the home theatre system for two months now and am so far extremely pleased with it. The individual pieces were a snap to set up as everything is color-coded. The most time-consuming part of the setup was adjusting the speaker levels properly for the space but this was not difficult at all due to a nicely designed onscreen interface. The remote is well designed and easy to use. I live in an apartment with nice thick plaster walls and hardwood floors and this system is perfect for my living room. Housing the subwoofers in the front speakers is nice because I didn't have to find a place to hide an ugly subwoofer box. Additionally, the speaker footprints do not take up much space at all. The back speakers come with brackets to either be hung on the wall or stood upright which is nice. I'm very pleased with the sound, both when watching movies or listening to music. Bass is powerful, the midrange is nice and clear and the highs are crisp. I'd like to see more equalization settings but, given the price range, I'm very happy with the ones included. 1. The DVD/CD loading times are slow. I realize that this is not a carousel type changer but I do think they could be a little faster. 2. The attachment of the front speaker tubes to the base needs to be more sturdy. I didn't have a problem peeling off the stickers that previous posters did but I do feel that the connection between the heavy metal base and PVC front tube speaker needs to be reinforced better. When I lifted one of the tubes out of box, the three shafts that connect the base to the tube snapped in half. This was easily repaired with a high grade plastic epoxy but I feel that a little engineering could easily resolve this problem. Sleek looks, good sounds.... Overall- a good performer. I purchased the philips mx5600d from Etronics(well, not without a bit of delayed shipping). After recieving the product, it was a bundle of joy as I open the box to a marvel of beauty. I read a review, someone was complaining about the stickers on the subwoofer. Men hush up. That sticker is cool and I haven't and won't remove mine. After about 1hr of setup, the home theatre was ready to be tested. I played the "bourne Identity" DVD on it and the sound was exceptional. At times, at the actions scenes, I jumped as the sound rocked from all corners of the room. Also, using the FM tuner on it was great. The component can store numerous amount of preset stations. Now I wake up in the morning with the subtle sound of surround B101.1 FM(My fav station). The picture quality is great, I have progressive scan on my TV, so I guess that coupled with the progressive scan capability of the Mx5600d brought about excellent picture quality. Overall, this is a good purchase and I'm glad I got this after an extensive research. I would recommend it to you, but just promise that you won't leave your girlfriend for it. You promise? Well, I left mine. We just purchased this for our home, and have had several bad experiences already. I am not basing my comments on sound quality because I believe how good a system sounds depends a lot on where and how you set it up, and what you are trying to do with it. I will say that, while I'm not an audiophile, the sound quality we experience is fine and meets our expectations. The problems we've encountered have been around poor design. First, they placed stickers on the front speakers. These stickers are the celophane kind, and are EXTREMELY difficult to remove. Expend to spend a 20-30 minutes trying to clean stickers off your new speakers and receiver. The second big problem is that the rear speakers are almost impossible to mount on speaker stands. They are tall, narrow, and heavy. Which makes them very unstable as "free standing" or sitting on a mini-shelf type of stand. The mounting screw hole is inset in between two of the lower speaker cones, making it impossible to firmly mount properly in most speaker stands, since the attaching point cannot be screwed in to flush with the speaker. Further, this mounting point is below the center of gravity - making the speakers very top heavy, so they have a tendency to roll over since they cannot be securely fashioned. Finally, if you set the TV's input as the DVD home theater, and set the receiver to use TV audio as input, you get a very nasty buzz from the speakers. I'm not sure if this is typical or if it is a problem with our paticular setup, but it's irritating. Form AND Function - now that's rare in an HTIB!!! I got this unit from J&R thru amazon.com (they had free shipping too!) for $399. By far, the best deal on the HTIB market for someone who doesn't want to spend a L-O-T of money for sound AND looks. Basically, I was looking for something that wouldn't clutter up my living room with a component rack. I bought the Sony DAV-770 Dream System before this one and after hooking it up and listening to it, promptly took it back to the store. In all my years of experience with HTIBs, I had come to the conclusion that you can either get good looks or good sound from your HTIB, not both. I have another custom-component rack system which can shatter windows at high volumes, but we'll talk about that in another review. Tired of being jolted out of bed early on Saturday because you forgot toturn off your alarm clock? The Philips AJ3950 comes with a WeekendSleeperfunction that automatically turns off the alarm so you can sleep soundly onweekends. Wake to CD, AM/FM radio, or beeper and never worry about the alarm resettingthanks to the included power-failure backup. 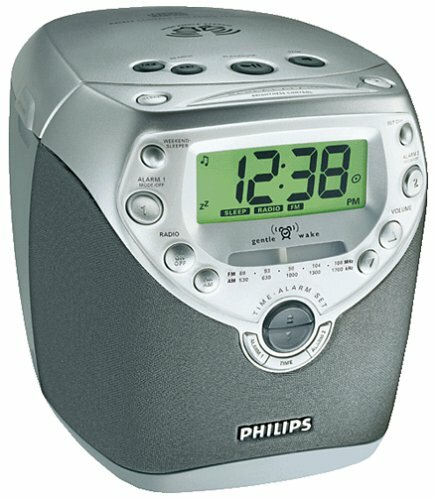 This very compact CD clock radio has some great attributes. The display is large and readable from reasonable angles and is not too bright. The FM tuner is very sensitive, and AM is good as well. The alarms (two) can be customised for CD (with the track you want), radio, or buzzer AND the volume can be varied with a gradual increase to your personal taste/needs.Has a "weekend sleeper" feature, too. The CD will play CD/R/RW and has a quiet transport. For myself, the lack of a digital tuner and the difficulty using this analog one with it's tiny dial and difficult to access tuning knob was a big drawback. The sound is quite bass heavy (how they managed that with the little speakers!) and rather muffled sounding on FM and CD (I only listen to classical music). If you listen to pop/lite jazz, AM music and don't change radio stations, this offers great value and flexible alarms. The radio sounds wonderful. You can turn it all the way up to 32 on the volume scale and it sounds like a small stereo boombox. You can set the alarm so that you can wake up to the sounds of your favorite CD. The clock radio is small and compact so that you can take it with you on vacations. It has a headphone jack on the side (and the radio sounds even better with stereo headphones). So why didn't I give this excellent clock radio 5 stars? Because the gray digital numerals are a little hard to read. With the radio on the dresser right next to where I sleep, it's no problem. And the 3 fluorescent light settings help a little bit, too. But from more than 5 feet away, you have to squint or have the clock radio aimed right at your line of vision to see the time. So when I'm in front of the mirror getting dressed and I glance over to see the time, sometimes I can see it and sometimes I can't. So if you want an easy to read display, I would look for a clock radio that has a clearer numerical display. But if you keep the radio close to the bed, then this shouldn't be a problem. And the radio sounds so good that I had no problem with obeying my wife and moving my Panasonic boombox to the office. While this CD/radio/clock has some very attractive features, the sound is absolutely awful. It sounds as if the speakers are under water, or, if you've ever had one of those old 9-volt transistor radios, like the bass is turned all the way up and the treble turned off. CDs and FM radio sound muddy and distorted and AM news/talk is mostly unintelligible. Since there's no way to tweak any settings to make it listen-able, i've returned the Philips and replaced it with a Sony Dream Machine. 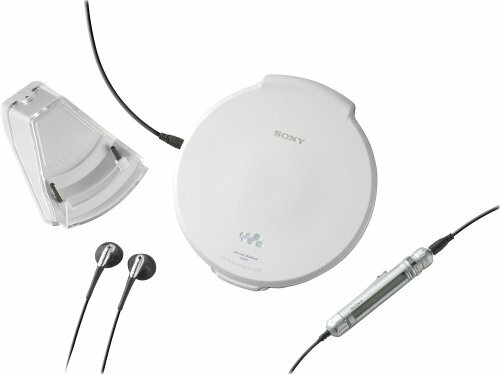 The Sony takes up more space and looks like a dopey version of a flying saucer, but it sounds terrific. The Phillips has some features i really like that the Sony doesn't, but ultimately, if it doesn't sound good it's not useable. You'd think that if you were making something to play music, the sound would be a primary concern, but apparently not in this case. That's regrettable. I originally loved this alarm clock because of the gentle awake, weekend sleep mode, compact size, etc. and I thought the LCD was fine. A couple of things were not ideal but liveable like the radio is a manual tuning and no presets. The gentle awake is great because the volume of your alarm slowly gets louder and you can turn it off before it gets too loud if needed. BUT one serious design flaw that has caused me to buy a new alarm clock is that when you turn off the alarm (regardless if it is radio/CD/buzzer), it makes a VERY LOUD BEEP sound to signal that you've turned off the alarm. Every morning I try to quickly turn off the alarm so as not to wake up my wife and baby (both in the same room). But despite my efforts, the alarm makes the loud beep sound and wakes everyone up!! You can control the volume of your gentle awake, but you cannot control the volume of this beep sound. It doesn't make sense. There is no way to turn this beep off as far as I can see. Terrible feature - I had to go buy a new alarm clock because we all became so frustrated! I defy you to even attempt to use this thing without repeatedly consulting the hefty manual (and keeping it near your bedside at all times). It is the most ergonomically unfriendly, hopelessly impossible-to-use piece of electronics I have ever owned. Try to find something as simple as the on-off switch on this thing, for example! Uniquely designed with similarities to an espresso machine, this coffee maker features a 1450-watt boiler that brews a 4-ounce cup of coffee in just thirty seconds, or two 4-ounce cups or one 8-ounce mug in 60 seconds. Because the machine uses pre-measured coffee pods, the system is hassle-free, easy to clean, and guarantees a flavorful, fresh brew each time. Let me stress that I don't work for the manufacturer or for Sara Lee! 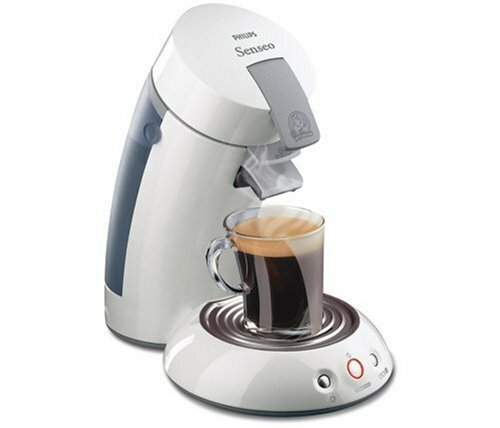 I received my machine on 9 April 2004 and brewed a cup within a few minutes (after flushing the machine as recommended). Even the medium roast tasted richer than most coffee I've made with traditional coffee makers. My wife likes a milder tasting coffee, so the mild roast is perfect for her. The dark roast is the closest to espresso you'll get without spending hundreds on an espresso machine. The coffee is nice and hot and the "crema" layer on top completes the experience! For those who gave this machine poor reviews, make sure you wash the pod holders and water tank and flush the machine before the first use. If you don't use it for more than a day, flush it before use with fresh, cold water. Be sure to use the correct pod holder and press the correct (4 oz or 8 oz) button. Place the pod with the flat side up(has the Senseo logo printed on this side). Use fresh, cold water (probably the most important ingredient in coffee) and don't reuse the pods! I tried this and the second cup tasted like "coffee from a can" coffee. Finally, and most important: give the coffee a stir before drinking. The bottom layer contains most of the good stuff. I hope that other coffee roasters are reading these reviews and will offer pods. My only concern at this point is that there aren't any alternative pods from other roasters yet available. The Douwe Egberts brand coffee is excellent, but the availability of a variety of blends and beans will be demanded soon, because sales of this machine are sure to take off! This is a great coffee maker if you like strong european coffee, which I do. The cup sizes are smaller than what most americans are used to, but the coffee tastes great, and more is not needed. I've been looking for something like this for ages. Glad I found it. This machine looks great on the counter and you can't beat the convenience. You'll have 4 ounces (1 pod) or 8 ounces (2 pods) of the most mediocre and expensive coffee you could hope for in less than two minutes--from a cold start. Maybe it's not the coffee, but the process that turns out this cup of...whatever it is. I don't know. <br /> <br /> Maybe some other models make a better cup of coffee--and a real cup, not this dainty 4 oz toy cup. Try before you buy. Balancing high style and high quality, Philips' 30-inch widescreen, high-definition-ready 30PF9946D will command center stage when needed and blend seamlessly with most decors when not in use. Its high brightness (600 cd/m2) and high contrast (600:1) ensure dynamic images from any source, while an integrated NTSC TV tuner offers cable or broadcast reception of all your favorite programs. 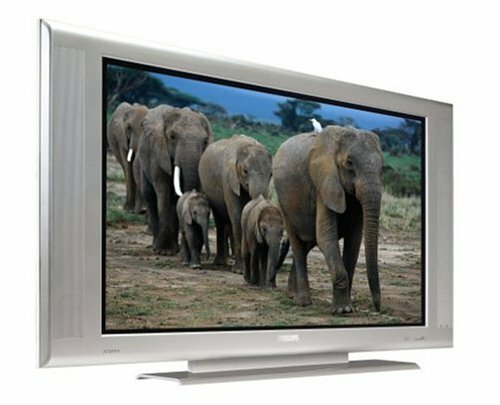 Hook the 30PF9946D up to an optional DTV receiver or progressive-scan DVD player and you'll enjoy vivid, detailed pictures from 1080i, 720p, and 480p sources, which render at up to 720p resolution on the set's native 1,024 x 768-pixel screen. LCD technology allows screens to be thinner and televisions to be lighter and more energy-efficient than ever before. The result is television that not only fits on a wall, but fits in places conventional televisions cannot. And wide (170 x 170 degrees) viewing angles mean it'll look great no matter where you're sitting. 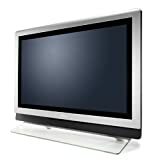 LCD screens offer a number of benefits over CRT monitors and televisions, including general ease of use, freedom from eye strain (no screen flickering or radiation emissions), quiet operation (no high-pitch "flyback" noise, an issue with CRT TVs), accurate image geometry (no curvature distortion or susceptibility to magnetic interference from, say, speakers), and long screen life (with no risk of image burn-in). They also tend to be cheaper and, to some eyes, slightly more natural looking than their plasma flat-panel counterparts, which usually "spec" higher (higher brightness, higher contrast ratio). 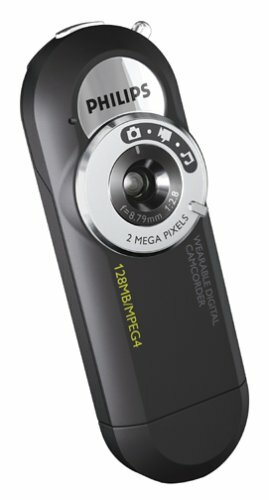 The 30PF9946D's comes outfitted with Digital Crystal Clear technology, a suite of picture innovations including Dynamic Contrast, a comb filter, and advanced, 10-bit processing. A feature called Active Control Plus+ continually adjusts picture settings at over 60 times per second for all inputs, correcting both sharpness and noise reduction, even adjusting for changes in ambient viewing light. The 30PF9946D also performs 3:2 pulldown detection and reversal, a handy feature for watching progressive-scan movie programs in their native 24-frame format. Digital video mastering introduces a common distortion when adjusting 24 frames-per-second movies to 30 fps video; 3:2 pulldown digitally corrects this distortion, removing the redundant information to display a film-frame-accurate picture. Audio/video inputs include a direct-digital HDMI input, a high-definition component-video input, and a VGA computer input, as well as 2 each composite- and S-video inputs. A pair of built-in speakers are drive by 15 watts per channel amplification. Onboard Dolby Virtual Surround simulates enveloping surround sound from any 2 speakers, and a side-panel headphone jack affords private listening. HDMI (High-Definition Multimedia Interface) is a lossless, uncompressed, all-digital audio/video interface to link any audio/video source (such as a set-top box, DVD player, or AV receiver). HDMI supports standard-definition (SD), enhanced definition (ED), or high-definition (HD) video, plus multi-channel digital audio--all using a single cable. It transmits all ATSC HDTV standards and supports up to 8-channel digital audio, with bandwidth to spare to accommodate future enhancements and requirements. The Philips Key019, is roughly half the size of a mobile phone, making it small enough to take anywhere--ensuring that you never miss a memorable moment ever again. It's capable of up to 25 minutes continuous video recording using MPEG-4, the international open standard for high quality digital video. It can also snap up to 200 2-megapixel still photos. With a single button controlling the action, and a USB connection providing a link to a PC, the Key019 is as plug-and-play easy to operate as it is easy to carry around. The USB connection makes it quick and easy to transfer video or photos to a PC for sharing with friends and family, and enables direct recharging of the battery via a PC. The versatile Key019 can store and play back audio files from its 128 MB memroy--enough for two hours of MP3 music, or four hours of WMA format tracks. Additionally, you can use it as a USB memory drive, enabling documents and other data to be stored securely and transferred to a PC. Now you can have a big-screen, high-definition picture with crystal-clear quality and without the bulk associated with rear-projection televisions. Philips' 32PF9966 offers a high-performance, widescreen (16:9) image from a casing little more than 4 inches deep. This set enhances your viewing environment, too, using Philips' revolutionary Ambilight system, which lights the wall behind the television with soft colors designed to enhance your perception of any given scene. Ambilight technology is a feature that projects soft light onto the wall behind the TV. You can choose from six preset colors and white tones, or the tones can be personalized using the custom settings. Or simply allow Ambilight to adjust the backlight color based on the action on the screen. 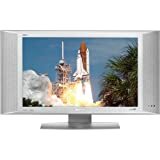 The 32-inch set offers high brightness (500 cd/m2) and exemplary contrast (800:1), as well as a pair of integrated NTSC TV tuners for cable or broadcast reception of all your favorite programs and stations. Hook it up to an optional DTV receiver or progressive-scan DVD player and you'll enjoy vivid, detailed images from 1080i, 720p, and 480p sources, which render at up to 720p resolution on the set's native 1,366 x 768-pixel screen. The Ambilight feature throws a soft glow on the wall behind the set to relax your eyes and heighten your perception of image detail, brightness, contrast, and color accuracy. The system offers full multicolor settings, dimming, 6 preset modes, 1 user preset, full operation in stand-by mode, and a low-energy lamp system with a lamp life of more than 60,000 hours. Philips invented Digital Natural Motion to eliminate the "juddering" effects visible in moving video images. Digital Natural Motion estimates motion and corrects "juddering" in both broadcast and DVD-based movie material, smoothing and sharpening the images you see. LCD technology allows screens to be thinner and televisions to be lighter and more energy-efficient than ever before. The result is television that not only fits on a wall, but fits in places conventional televisions cannot. The 32PF9966's comes outfitted with Digital Crystal Clear technology, a suite of picture innovations including Dynamic Contrast, a 3D digital comb filter, color-transient improvement (CTI), and green-/blue-stretch color enhancement. Pixel Plus uses the power of the Pixel Plus processor to enhance every single pixel displayed. The result is razor-sharp pixels with incredible detail and depth. A feature called Active Control Plus continually adjusts picture settings at over 60 times per second for all inputs, correcting both sharpness and noise reduction, even adjusting for changes in ambient viewing light. The set's full DualScreen PIP comes with 2 integrated NTSC tuners and the ability to watch 2 different channels simultaneously. PIP features include standard picture in picture (3 sizes, free positioning), 3PIP Mosaic, and 8PIP Mosaic. A built-in audio amplifier pumps 15 watts per channel x 2 RMS, and onboard Dolby Virtual Surround simulates enveloping surround sound from any 2 speakers. The unit's .125-inch headphone jack affords private listening. Audio/video inputs include a direct-digital HDMI input, 1 high-definition component-video, 3 S-video, and 2 composite-video connections, an RF antenna input, as well as a VGA computer input (RCA-type RGB+HV). A convenient side-panel input simplifies spontaneous hookups. HDMI (High-Definition Multimedia Interface) is a lossless, uncompressed, all-digital audio/video interface to link any audio/video source (such as a set-top box, DVD player, or AV receiver) with the set. HDMI supports standard-definition (SD), enhanced definition (ED), or high-definition (HD) video, plus multi-channel digital audio--all using a single cable. It transmits all ATSC HDTV standards and supports up to 8-channel digital audio, with bandwidth to spare to accommodate future enhancements and requirements. 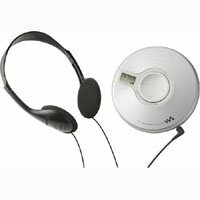 The DSJ-303 S2 Sports CD Walkman Portable Compact Disc Player represents the new generation of Walkman players created to be durable, stylish, and ready for go-anywhere outdoor fun. With water resistant features such as rubber gaskets, bushings, and water resistant seals, you never have to worry about water, moisture or dirt affecting the way your music plays. The player's Skip-Free G-Protection technology provides quick recovery from both horizontal and vertical shocks, so jogging or hitting those unexpected pot holes won't ever interfere with your listening. Playback options include 9 playback modes that offers a wide array of listening choices, including hearing one track repeatedly, hearing a selection of tracks in a desired order, or listening to tracks randomly. The player's 64-track programming feature offers you an extraordinary ability to customize the order you listen to your tracks. 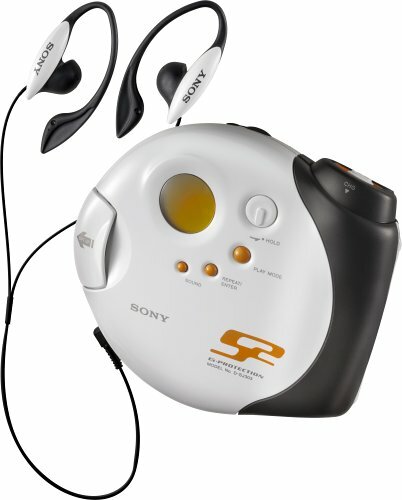 The DSJ-303 S2 Sports Walkman plays all CD-R/RW discs burned either in a PC or a home recording deck, allowing you to listen to your custom mixes while you're on the go. And Sony's advanced DSP technology means that you can listen to over 50 hours of continuous music off of two AA batteries (not included). Pros and Cons, very durable and high quality. 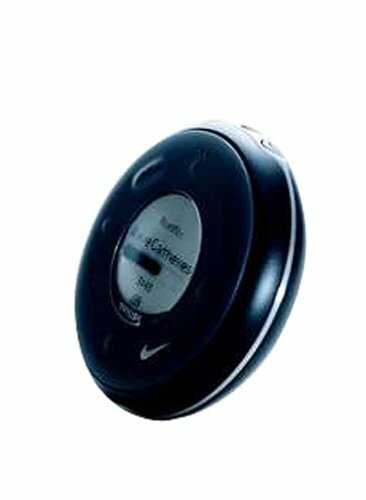 This is a nice sturdy CD walkman that is excellent for exercising like jogging, stair stepping, aerobics...etc. It has a heavy duty snap cover to keep the CD in place so it will never open and fall out if dropped.You could probably throw this thing against the wall and it wouldn't break.The sound is great with extra bass boost x 1 and x 2.The program button to get it to turn on and advance the music tracs was alittle confusing until I read the directions.The ear buds are alittle funny to get used to, they fit inside the ear with an ear "hanger" but sound very good once you fit them in.The only con for me is an arm band.I wanted a CLIP on the back to clip it onto my shorts but instead a wrist band so you can't sit down and write or do anything with your hands unless you take it off.It is almost too big to put into shorts pockets too.I ended up getting a x-large safety pin to hang it from my shorts wasteband (belt loops would work if I had them) then you could fasten the velcro band around the belt loop. Hopefully they will put a belt clip on the next release of this fine walkman.I do recommend it if you don't mind wearing it on your wrist or having it bang around your belt area.I paid about 68.00 from it on Amazon with fast free shipping. This cd player is the best because, like 2 years ago i have this same model but then someone stole at school so I was really mad. But then once I went to "Walmart" and saw this cd player for $70 so I was wow this is a good price. Then I went to sony.com and found out that it really was out there but upgraded. So then i was like "man my last cd player was the exactly same as this one. So I bought it like 3 days agos and it really was loud. Now when i buy cd players i always check that has a GOOD BASS because if it doesnt have BASS then i am just waisting my money. The cd player have a 10/10 BASS. You could turn all the volume with the BASS on and it will still play loud with the BASS. 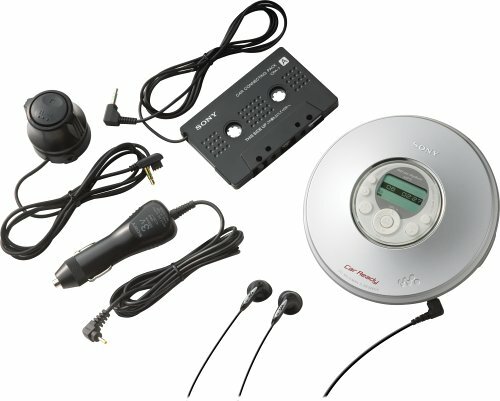 This CD player can also RECHARGE BATTERIES and is WATER RESISTANCE. Of course the player dont have MP3 or RADIO but if you dont have MP3'S THIS woul be the BEST CD PLAYER OF YOUR LIFE. Fantastic Machine -- Great Coffee! I recently went on a trip to The Netherlands and discovered Senseo there. I was very happy to realize they were being sold stateside as well and immediately purchased a machine for my husband and I.
I *LOVE* The coffee, it stands up well to Soy Milk, all my guests can have their choice per cup, (some want decaf, some want dark, some medium or light). I also love that every cup I make is fresh and hot, not like when I used to have to make a whole pot then keep it vacuum sealed just to get bitter and overcooked all day. My "usual" is an 8-oz cup made with one Dark Roast and one Medium Roast pod. It seems a lot of my friends are confused about whether this is an espresso machine or a coffee machine. Its a coffee machine that uses "Espresso-Pod-Like" pods to make normal drip coffee, one cup at a time. Its nice, rich coffee, but its not espresso, though I guess you could make a Latte or Mocha out of the resulting brew if you wanted. I had purchased a Melitta machine, but I returned it because the top was hard to keep closed, it seemed a bit "flimsy" and it ONLY made one size cup of coffee, I didn't have the choice to make one smaller cup, two smaller cups or one big mug, which I really like with this machine. The coffee also didn't taste anywhere near as nice to me. Senseo's coffee is comparable to Starbucks that I've tried, not quite as good as fresh brewed Starbucks drip, and not as hearty as a Starbucks espresso, but definitely good, rich and flavorful. In Europe, they have several other flavors of pods including Rio de Janeiro, Milano, Vienna and Sydney. I guess these are all part of the "City Sensations" line. Also, Douwe Egberts, the maker of the coffee pods, is a HUGE brand in The Netherlands... in the airport and at several other locations, there are Douwe Egberts cafes in the Amsterdam airport, etc. and its a well-respected brand. I'm surprised to hear that some think the machine is too noisy. While mine does make a distinct noise while brewing the coffee, its very short and about the same level of noise as a larger pump for a fishtank makes... it lasts less than a minute. Anyway, enough said. I hope you all enjoy your Senseo machines! 1) Good coffee. I am particular about coffee and when I read so many people complaining about the taste of the coffee I made sure I could return the unit if the coffee was as bad as some people claimed. It was not. The crema on top and the freshness of the coffee are great. If the best coffee house coffee is an "A", then this creates "B+" coffee. 2) Could not be easier to use or clean. I have had several people's jaws drop as they push the button and find themselves drinking great coffee just 25 seconds later. Clean up involves rinsing off a couple of parts that are easily detached. 3) Freshness, not quantity. I used to drink 12-16 ounces of coffee in the morning. Now I drink 4 ounces first thing in the morning, another 4 ounces a little later and perhaps another 4 ounces in the afternoon. Since it is so easy to make a fresh cup anytime I want one, I prefer this schedule to a big cup in the morning. The Senseo can brew 8 ounces at a time, but a rich 4 ounce cup is surprisingly satisfying. 4) To each his own: Just this evening two people at my dinner party wanted decaf while another wanted dark roast and the fourth wanted light roast. With the Senseo, these individual orders were a snap. 5) Good coffee with more options on the horizon: The Douwe Egberts brand is fine but as this coffee machine gains popularity, alternatives will emerge. Visit podhead.com to see more on the potential here. My sister visited Holland and tasted our Senseo made coffee.<br /> she said " Oh man!! I have to get me one of these! "<br /> I went online, There it was at Target! I sent the link!<br /> My sister is going to freakout when she sees my mail! Thanks, Target!!!! The Dutch know their coffee! I come from the Netherlands and I am familiar with the quality of both Douwe Egberts and Philips products and seeing this amazing combined effort I couldn't resist! *smile* I bought this coffee maker as a gift for my boyfriend's grandparents and they love it! 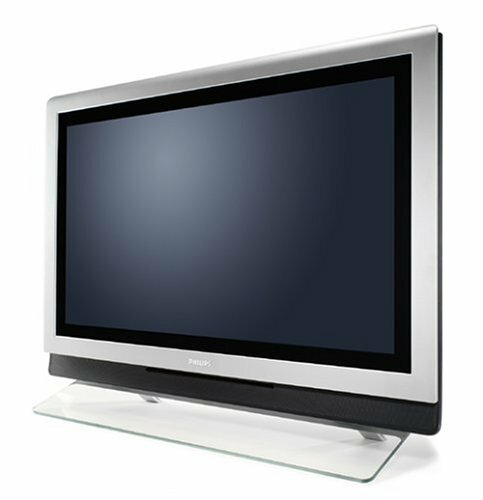 Philips' 42PF9966 plasma television offers a high-performance, widescreen (16:9) image from a casing less than 4 inches deep. 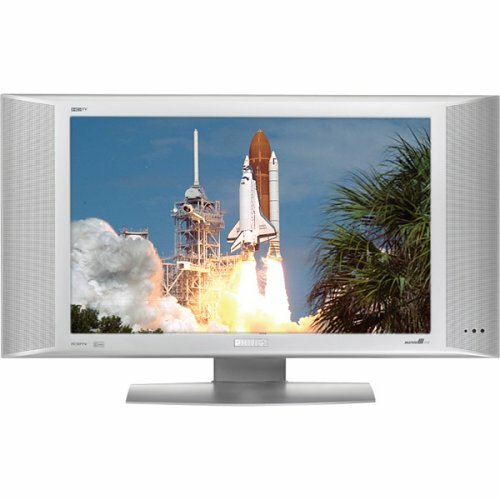 The 50-inch set offers astronomical brightness and contrast settings (1,000 cd/m3 and 3,000:1, respectively), as well as an integrated TV tuner for cable or broadcast reception of all your favorite programs. Hook it up to an optional DTV receiver or progressive-scan DVD player and you'll enjoy vivid, detailed images from 1080i, 720p, and 480p sources, which render at up to 720p resolution on the set's native 1,366 x 768-pixel screen. Philips' unique Ambilight feature throws a soft glow on the wall behind the set to relax your eyes and heighten your perception of image detail, brightness, contrast, and colors. Ambilight settings include 6 presets and a user-adjustable setting. Philips invented Digital Natural Motion to eliminate the "juddering" effects visible in moving video images. Digital Natural Motion estimates motion and corrects "juddering" in both broadcast and DVD-based movie material, smoothing and sharpening the images you see. With a plasma screen you get vivid colors like you've never seen before, extremely wide viewing angles (wider, even, than those of most LCD screens), and easy placement due to a plasma monitor's slim profile--the 42PF9966 is a mere 3.9 inches deep, perfect for desk or wall mounting (mounting brackets provided). Brightness tends to be extremely uniform across plasma screens, which are also impervious to the picture distortion and negative color balances that afflict CRT monitors when placed near lighting or sound systems. You do, however, need to be wary of image burn-in (wherein long-held stationary images leave a permanent impression in the screen). This TV also uses the power of the Pixel Plus processor to enhance every single pixel displayed. The result is razor-sharp pixels with incredible detail and depth. A feature called Active Control Plus continually adjusts picture settings at over 60 times per second for all inputs, correcting both sharpness and noise reduction, even adjusting for changes in ambient viewing light. The set pumps 15 watts per channel x 2 RMS, and onboard Dolby Virtual Surround simulates enveloping surround sound from any 2 speakers. FM tuning options include 40 convenient presets, RDS (Radio Data Service) for visual station and song identification, and auto/manual station setting. The unit's .125-inch headphone jack affords private listening. Audio/video inputs include a direct-digital HDMI input, 2 component-video (1 configured for RCA-type RGB+HV computer outputs, with separate horizontal and vertical sync terminals), 3 each S-video, and composite-video connections. A convenient side-panel input (including a headphone jack and an S-video jack) simplifies spontaneous hookups. HDMI (High-Definition Multimedia Interface) is a lossless, uncompressed, all-digital audio/video interface to link the set with any AV source (such as a set-top box, DVD player, or AV receiver). HDMI supports standard-definition (SD), enhanced definition (ED), or high-definition (HD) video, plus multi-channel digital audio--all using a single cable. It transmits all ATSC HDTV standards and supports up to 8-channel digital audio, with bandwidth to spare to accommodate future enhancements and requirements. The Philips HDRW720 DVD recorder/hard disk combination lets you adjust your TV viewing to suit your everyday life. You'll have the option to record up to a staggering 192 hours--8 straight days--of television directly to the built-in 120 GB hard-disk drive (HDD) to watch and delete programs at your leisure. Or you can save programs to DVD for life. Your choice. The HDRW720 also offers the easy-to-use TV Guide onscreen electronic program guide (EPG) so you can just point and click to record your favorite programs. Viewed programs are automatically stored on the adjustable 6-hour HDD buffer, from which you can retrieve them, watch them again, transfer them to the hard drive, or simply record them onto a DVD+R/+RW disc. A feature called FlexTime lets you watch the beginning of a program while it's still being recorded. And, with the touch of a button, high-speed archiving will copy a recording from the hard disk to recordable media. Thanks to Instant Replay, you can immediately repeat exciting or memorable TV moments at the press of just one button. You can also use the HDRW720 like a traditional VCR, burning televised programs directly to disc using helpful VCR Plus+ programming data. A DVD recorder is perfect, of course, for archiving your home videos, and the HDRW720 features a front-panel i.Link digital-video connection for easy DV camcorder hookup, perfect copies, and 2-way camera control. Recording functions include safe record, one-touch record (OTR), track append, track divide, automatic/manual chapter marker insertion, Smart Chaptering, favorite scene selection, and Selectable Index Pictures. 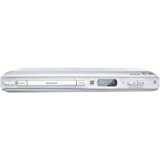 The HDRW720 is also a first-rate DVD player, featuring progressive-scan video outputs, Dolby Digital and DTS 5.1-channel surround sound passthrough, MP3 CD playback (CD-R/CD-RW), and compatibility with most DVD media (including video-mode DVD-R and DVD-RW). Whether your living room is currently home to an HDTV or you're merely thinking of "someday," the HDRW720 will deliver the full potential of your DVDs. Progressive scanning, referred to as 480p for the number of horizontal lines that compose the video image, creates a picture using twice the scan lines of a conventional DVD picture, giving you higher resolution and sharper images while eliminating nearly all motion artifacts. Top-of-the-line component-video inputs and outputs help minimize digital and line-scan artifacts on compatible advanced televisions, while composite-video, S-video, and RF coaxial video inputs and outputs bring compatibility with nearly any video component and television monitor. Audio inputs consist of 2-channel analog jacks. Two sets of left/right analog-audio outputs channel audio to Dolby Pro Logic receivers and stereo televisions. Both Dolby Digital and DTS 5.1-channel surround-sound signals can be routed through the player's digital-audio outputs (1 each of RCA coaxial and Toslink optical) for direct connection to a full-featured audio/video receiver. The Philips DVDR520H combines all the benefits of DVD recording with the digital convenience of a hard-disk digital video recorder. Archive your priceless camcorder footage to long-lasting, high-quality DVD+RW andDVD+R (4.7GB per disc), or time-shift your viewing by recording TV programs by recording shows directly to the 80 GB hard disk, which gives you up to 100 hours of storage using Philips' ShowView programming system. Whether recording to DVD or hard disk, programming the DVDR520H is simple using the GUIDE Plus+ electronic program guide (EPG). The EPG is a point-and-click system that lets you specify which programs to record, up to 7 days ahead. Using the model's extensive inputs--including an i.Link digital video jack--you can transfer and assemble your most treasured camcorder footage, archive all your old video tapes, or burn video from your PC straight to high-capacity DVD--up to an amazing 8 hours per disc side using either DVD+R or rewritable DVD+RW. The DVDR520H also gives you the ability to pause live TV and instantly replay scenes just missed. If the phone rings or someone comes to the front door, simply pause the show you're watching and resume viewing from that point when you're ready. The hard disk time shift buffer stores up to 6 hours of programs, giving you the freedom to decide after the fact whether you want to keep something for future viewing. When the buffer is full, the oldest programs are automatically deleted, unless you've marked them for saving. The DVDR520H also features a simple solution for transferring recordings from the hard disk to DVD media: high-speed archiving. With a single command, the device will digitally transfer programs to DVD at up to 20 times the speed of the program duration. Recording functions include favorite scene selection, automatic/manual chapter marker insertion, selectable index pictures, append, and divide.DVD+RW discs require no finalizing--you can record, eject, and play them with minimal fuss, thanks to "background formatting." This feature, which lowers total burning time, is an advantage over the "dash"formats. Other DVD+RW advantages include on-disc content editing and multisession writing. And, through DVD+RW and DVD+R's compatibility with most existing DVD players, they're a great way for you to share your special memories with family and friends. 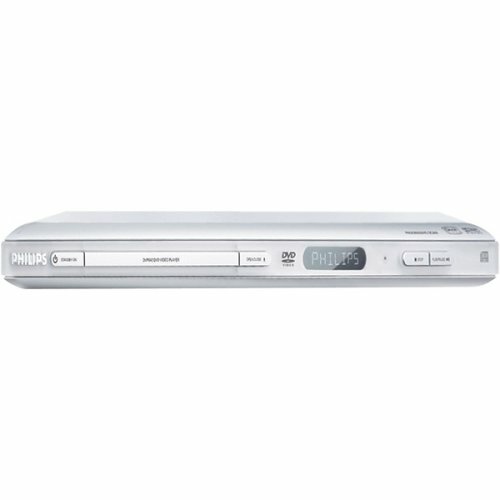 The DVDR520H is also a first-rate DVD player, featuring progressive-scan video outputs, Dolby Digital and DTS 5.1-channel surround sound passthrough, MP3 CD playback (CD-R/CD-RW), JPEG picture CD/DVD playback, and compatibility with most DVD media (including video-mode DVD-R and DVD-RW). Whether your living room is currently home to an HDTV or you're merely thinking of "someday," the DVDR520H stands ready to deliver the full potential of your DVDs. Progressive scanning, referred to as 480p for the number of horizontal lines that compose the video image, creates a picture using twice the scan lines of a conventional DVD picture, giving you higher resolution and sharper images while eliminating nearly all motion artifacts. Top-of-the-line interlaced component-video outputs help minimize digital and line-scan artifacts from component-video sources and on compatible advanced televisions, while composite- and S-video inputs and outputs bring compatibility with nearly any video component and television monitor. Audio inputs consist of 2-channel analog jacks with 24-bit/96 kHz analog-to-digital conversion and Dolby Digital 2.0 audio compression (compression is nondefeatable). Video conversion is performed by 9-bit, 27 MHz converters for recording and high-quality 10-bit, 54 MHz converters for playback. Two sets of left/right analog-audio outputs channel audio to Dolby Pro Logic receivers and stereo televisions. Both Dolby Digital and DTS 5.1-channel surround-sound signals can be routed through the player's digital-audio outputs (1 each coaxial and optical) for direct connection to a full-featured audio/video receiver. World's smallest CD player for Audiophiles! Saving space while simplifying your entertainment hookups, the XBV443 juggles most forms of entertainment media, from VHS videocassettes (recording and playback) and high-resolution DVD performance to CD, CD-R, CD-RW, MP3 and WMA CD, and JPEG image CD so you can enjoy custom slideshows from your digital photos in the comfort of your living room. The unit's handy front-panel audio/video jacks simplify hookup with camcorders, video game consoles, and other devices. Whether your living room is currently home to an HDTV or you're merely thinking of "someday," the XBV443 stands ready to deliver the full potential of your DVDs. Progressive scanning, referred to as 480p for the number of horizontal lines that compose the video image, creates a picture using twice the scan lines of a conventional DVD picture, giving you higher resolution and sharper images while eliminating nearly all motion artifacts. 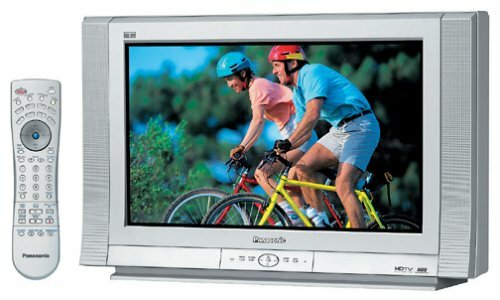 Composite- and S-video outputs bring compatibility with nearly any television. Other disc features include 4x to 16x moveable zoom, variable high-speed scan (2x, 4x, 16x, and 100x), parental locks, bookmarking, 20-track CD programming, and repeat play. The VCR section offers 4 heads (for clear slow-motion and stop-action features) and stereo sound. The deck's 19-micron video heads maintain clarity during recording or playback in EP (extended play) mode, auto digital tracking adjusts for optimal picture settings for every tape you load, and auto clock set maintains the correct time and even adjusts for daylight savings. A handy Instant Recording button commences recording with a single touch. For the simplest hookup with your TV, you can use a single RCA composite-video connection to handle both DVD and VCR outputs. If you want a higher-quality connection from the DVD player, you can use a component- or S-video cable to an additional input on your TV (the VCR image requires a composite-video or RF connection with your TV). You can choose between an optical and a coaxial digital-audio output to feed a surround-sound signal to your Dolby Digital- or DTS-decoding audio/video receiver. If you don't have a surround receiver or 6-channel speaker setup, you can still make every movie night the ultimate experience: the unit simulates surround sound through 2 speakers (even the stereo speakers on your TV). I purchased this player recently from amazon.com. 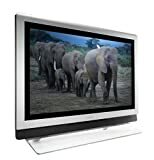 The velcro that is given to stick the unit is not great..
the product, we can use another thing to stick it..
Get ready for a night out at the movies--in your own home--with Panasonic's 30-inch widescreen CT-30WX54 HDTV-ready set. You'll get brilliant, high-resolution from the PureFlat screen and enjoy movies the way they were meant to be seen in wide 16:9 aspect ratio. The CT-30WX54 also features an HDMI input, digital velocity scan modulation, picture-in-picture functionality (PIP), a motion-adaptive 3D comb filter, two HD component-video inputs, four A/V inputs (one in front), and three S-video inputs. Panasonic's PureFlat screen minimizes reflections and distortion, so you can enjoy distraction-free TV viewing no matter where you sit in the room. The fine-pitch screen provides sharp images and excellent detail. To maximize picture quality, Panasonic's LCD TVs incorporate several video enhancement features. The motion-adaptive digital comb filter prevents any two lines with different colors from being processed together in the comb filter at the same time, minimizing any "hanging dots" in the image. With digital velocity scan modulation, advanced circuitry along the neck of the CRT senses shifts from black to white in the video signal. The black and white portions of the signal are sped up and slowed down, respectively, resulting in improved transitions. The 16:9 aspect ratio, consistent with the shape of cinema screens as well as the HDTV broadcast format, enables viewers to enjoy the full impact of a film as its director originally intended. The screen also accommodates pan and scan or letterbox formats recorded at the 4:3 aspect ratio. This set has a built-in 181-channel tuner, though you'll need an optional HDTV tuner to receive high-definition broadcasts. The two built-in speakers (15 watts apiece) provide simulated surround sound and BBE high-definition audio enhancement, which helps restore the dynamic range of musical passages to help provide a more natural sound. The CT-32SL14 has 4 composite A/V inputs (1 front), 3 S-video inputs (1 front), 2 component-video inputs, 1 RF, 1 headphone jack. It adds an HDMI connection, providing high-quality, uncompressed digital audio/video signal transmission. Aspect ratio: The aspect ratio refers to the shape of the video image. Traditional television has a 4:3 aspect ratio, which is almost square in appearance. Digital television has either a 4:3 or 16:9 aspect ratio. A 16:9 aspect ratio is widescreen and appears rectangular, which looks more like a movie screen, filling more of the viewer's field of vision for a more lifelike viewing experience. HDMI-HDCP interface: HDMI is a new standard digital connection between A/V devices, such as a set-top box, DVD player, or A/V receiver, and a digital television. HDMI offers exceptional video and audio quality with a single quick-disconnect connector. It supports multichannel digital audio transmissions and component-video color spacing for true rendering of HD video. HDMI supports the HDCP copy protection standard, allowing transmission of copy-protected digital content to your display.